Do you ever feel like Earth isn’t really a place you can call home? You can just never feel comfortable. Do you often find yourself lost, gazing at the stars? Well, you may look like an average human being with two arms and two legs, but we think that it’s time you let your inner alien out! Now, we don’t mean to say that there is an alien being growing within you that needs to pop out of your chest… We don’t know if there’s not either, but what we mean to say is you need to check out this amazing Adult Blue Monster Madness Costume! 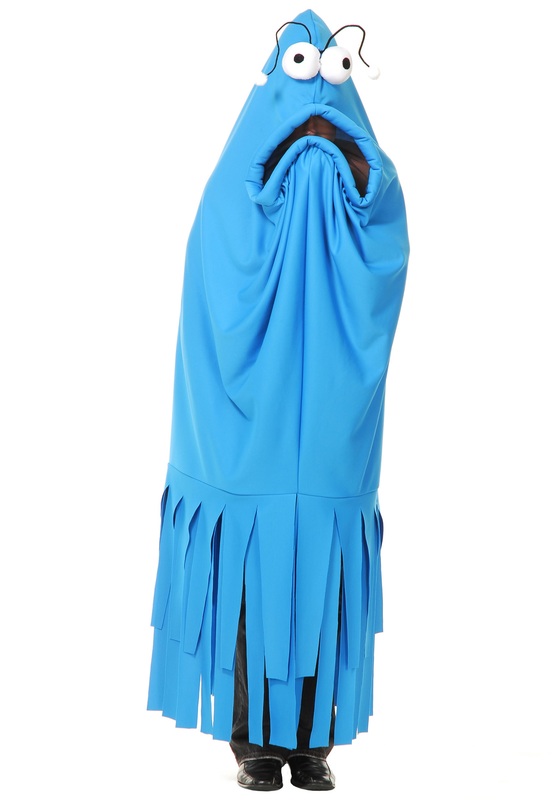 Once you toss on this blue tunic you will transform into one of the famed yip yip Martians. These hilarious gibberish-speaking aliens are known for the goofy antics they pull while trying to understand life on Earth. Attempting to talk to actual phones, confusing grandfather clocks for Earth people, believing radio static to be Earth music, and falling in love with computers are all just normal, everyday experiences for these oddball aliens. Have a friend of yours grab the matching pink monster madness costume and the two of you can invade the party scene. Run around with your Earth Book yelling “yip, yip, yip” and “nope, nope, nope” this Halloween and let your inner alien out. 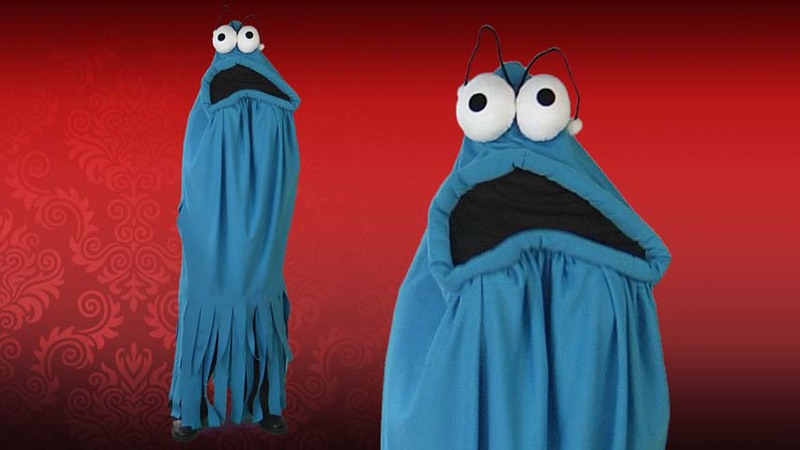 Find a bunch of friends to go out with a Sesame Street theme and have fun being the goofiest in the group with this Blue Monster Madness Costume! I am 5'3, shorter than the average person. It is a little long but I knew that when I looked at the measurements before purchasing. Thankfully the strips along the bottom appear easy to trim so I can make it shorter. The costume is easier to see out of than I expected, however other people cannot see your face through the black mouth. There are small holes in the sides so your arms do not have to stay next to your body the whole time. You could easily hold a treat bucket or whatever else. The mouth doesn't open as wide as I expected but still it is a hilarious costume and I can't wait to wear it.